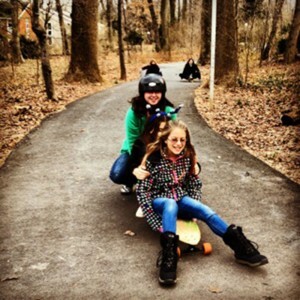 On Tuesday, December 24th, Skate Girls Tribe met up for a pre-Christmas meeting/party. People started coming in at 11:30 AM. As we waited for the other people to arrive, we colored in printed out drawings. 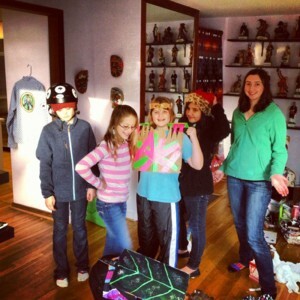 Once everyone came, we moved on to the main project, warrior armor. We got inspired by modern-day “warriors”, like Katniss from the Hunger Games. Some people made turtle shells, others made crowns and jewelry. Later, we ordered pizza and had lunch. 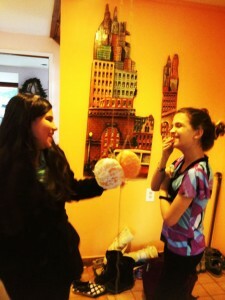 Afterward, we played a game in which we had to eat one clementine that was hanging on a string. (without using our hands) The victors were given the advantage of picking their presents first in the gift exchange. 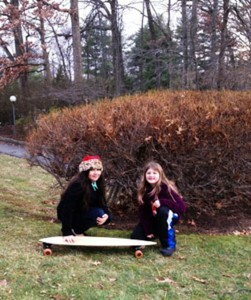 After the gift exchange, we all went outside to longboard. 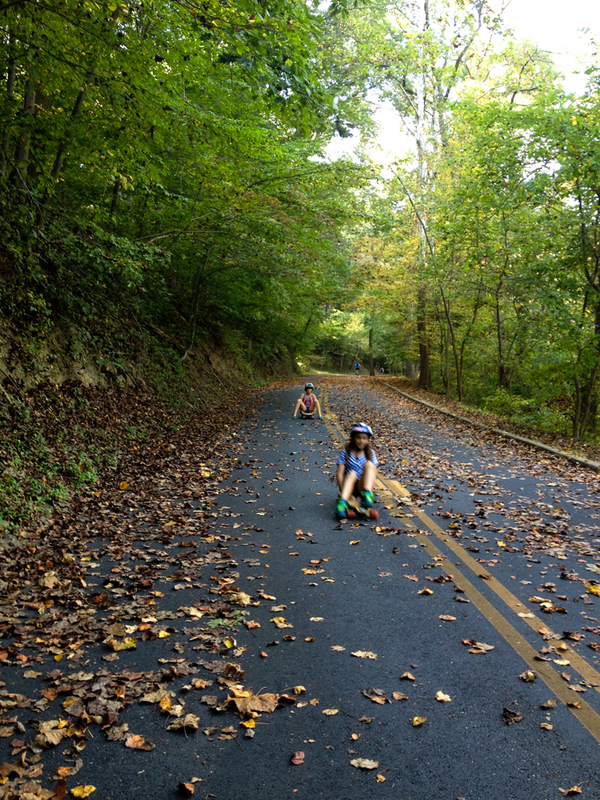 Some girls already knew how to longboard and some did it for the first time. We helped and supported each other. 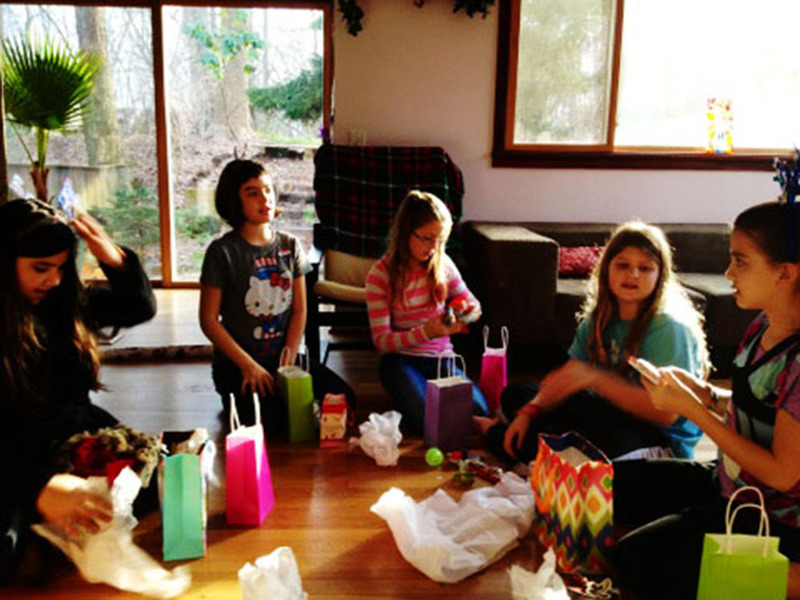 The party was a great success, and everyone had a lot of fun. 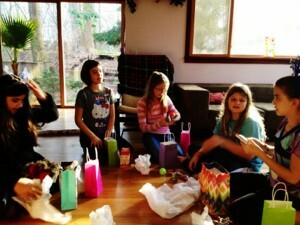 Thank you to everyone who came, thank you to Zoe who helped to organize the party, and thank you for the wonderful gifts. You all rock! 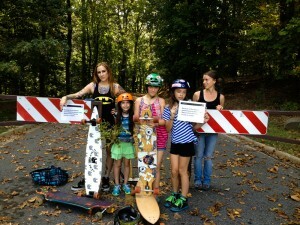 The Skate Girls tribe team agreed to meet on Sunday at Rock Creek Park in Washington, DC. 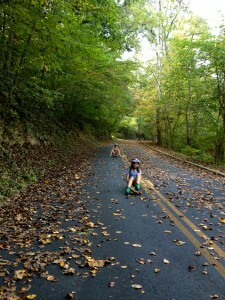 With a car full of people and longboards, we drove in excitement to the park and were disappointed when we saw blocked roads. We drove around for a little more and found a parking spot. All of a sudden, the park police came and made everybody leave the parking spot. 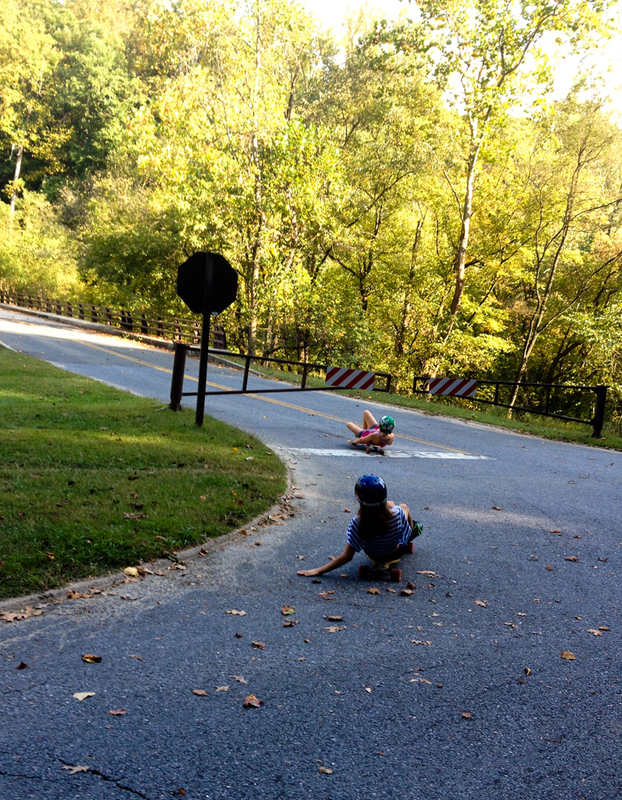 At the same time, our fellow longboarders reported the same problem. We had to drive far away to find parking. People joined us as they found parking too. 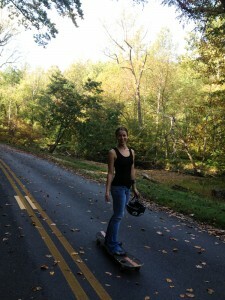 The park was full of bikers, roller bladders, hikers, and many more people. All living and breathing organisms were there. They did not stop living, even after the government shutdown. After a long week of school, work, and every day chores, we had the right to have fun. Nothing could stop us! It was a very exhilarating ride down the hills at Rock Creek Park. Its oldest and largest trees top five-hundred years old. No wonder everybody is happy and content at this park. We met other people that were interested to join our tribe, and we welcomed them warmly. 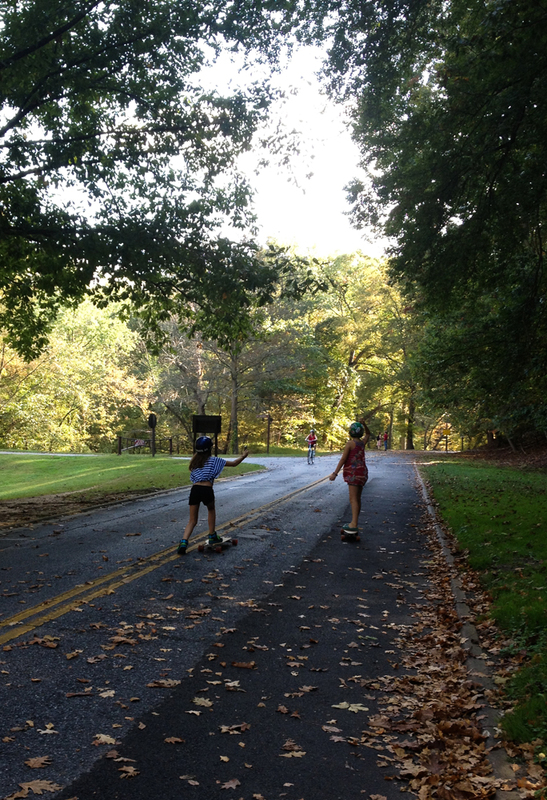 It was great to know that other people in DC wanted to longboard with us. 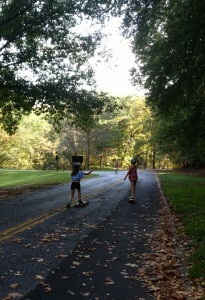 After longboarding we went to the Meridian Hill Park in DC. Each Sunday people gather at the park to enjoy life, do meditation, play sports, and dance. As soon as we got to the park, we went to the drum circles. The vibe was amazing, with the people dancing and jumping to the rhythmic thumping of the drums. The autumn leaves, the light wind, and the sun coming through the trees made us feel as if we were in paradise. Everyone was happy. Then, people started noticing a big poster that said , “The park is closed because of the government shutdown.” Really? Do we need the government’s permission to have fun and celebrate life? Apparently so. We stayed at the park until the police arrived. Nothing could have stopped us from having a good time and enjoying our selves.